The Centers for Disease Control and Prevention issued an unusual alert on Tuesday, saying all romaine from any source should be tossed. 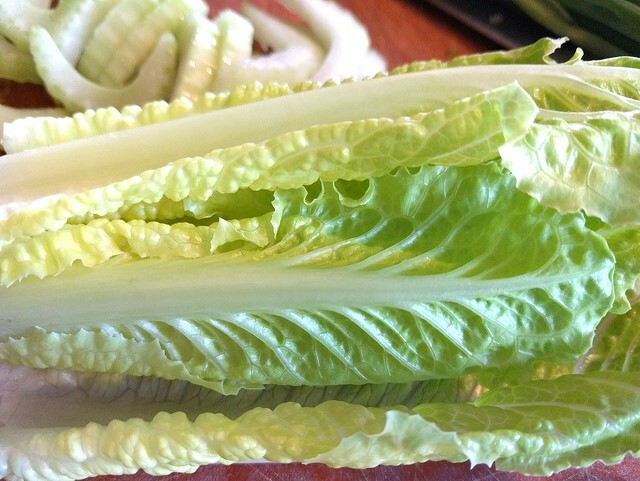 The Centers for Disease Control and Prevention issued an unusual alert on Tuesday, warning the public to avoid all romaine lettuce over an outbreak of E. coli. The outbreak started last month and so far has sickened 32 people in 11 states, including California but excluding Oregon and Washington. Thirteen people have been hospitalized. The type of E. coli involved, O157:H7, is virulent, potentially causing kidney failure or death. The CDC said that consumers should throw out any romaine lettuce in their refrigerator. Restaurant owners and stores should also pitch it as well. It doesn't matter whether it's whole or cut up and bagged -- all of it from any region should be avoided, the CDC said. Consumers should also throw out any bags of greens that contain romaine lettuce. The alert comes two days before Thanksgiving and comes amid a salmonella outbreak traced to whole and ground turkey and turkey parts. Consumers can avoid salmonella poisoning by properly handling birds during preparation -- don't wash them in the sink -- and cooking them thoroughly. But romaine is eaten raw. Washing does not eliminate the bacteria. The outbreak comes on the heels of another one also linked to romaine lettuce that the CDC declared was over in June. A total of 210 people got sick, 96 were hospitalized and five died. That outbreak was traced to lettuce from Yuma County, Arizona. You can reach Lynne Terry at [email protected].